An effective, design rich landing page converts very well, and so does the content with multiple elements placed properly on a website. Making such page requires a great knowledge of HTML and CSS programming languages. Not everyone is good with these languages and for those people, there is a great solution as Page Builder. WordPress Page Builders come as a plugin to enable you create a great layout for landing pages, blog posts, pricing page etc. in no time. There are many brilliant WordPress themes which comes with responsive design and multiple layouts but still you need to install (or purchase) a Page Builder to build pages as per your design requirement. In this article, I will list some of the best WordPress themes which comes with Page Builders to create pages using drag and drop method. Drag and Drop WordPress Themes allow you to publish pages with great designs and multiple elements. For example, adding a pricing table or button or gallery is a child task using such Themes with Page Builders. Emmet is a premium WordPress theme from MotoPress and it comes with inbuilt Page Builder plugin worth $29. Using drag and drop method, you can create pages and publish the same. The theme is responsive and is good for a portfolio or corporate site. This theme is also having a good layout for bbPress forum and WooCommerce plugin. Using the inbuilt Page creator, you can also create a great layout for eCommerce products. Emmet page builder comes with Portfolio Section, Features Section, Pricing Table, Countdown Timer, Post Grid Layout, Google Chart Integration, YouTube & Vimeo Embeds, Buttons and Icons, Multiple rows and columns and many more elements. Note – Page builder is not present in the lite version of Emmet WordPress theme. With more than 235K downloads on Themeforest, Avada is one of the most sold WordPress theme ever. This multipurpose WordPress theme is responsive and flexible. Apart from so many other features, Avada comes with inbuilt page builder named Fusion Builder. Using this page builder, you can save custom page layout to reuse the same later. It saves time and helps in creating similar layout without repetitive effort. Apart from the Fusion Page builder, Avada also comes with Revolution Slider, Awesome Parallax Slider, Mega Menu and many other features. You can create landing pages, pricing page, photo gallery page, portfolio layout etc. using the Fusion Page builder. This drag and drop WordPress theme is very easy to use and comes with great support. Elegant Themes is one the most popular theme club of WordPress and Divi is the most popular theme from the club. Along with Divi WordPress Theme, the club provided inbuilt Divi Builder which is a drag and drop page builder with more than 46 different modules. Adding a content module such as portfolio, contact form, tables, accordion, gallery, video, email optin etc. are as easy as putting a comma. One can create a beautiful page using Divi builder drag and drop page in just no time. Divi is a great theme to create business site, personal blog, startup page, digital marketing landing page and many more. Headway Theme is a standalone WordPress theme which comes with inbuilt page builder. Once you activate the Headway theme on your WordPress installation, you can start working on the ready template as preset designs or create a design as per your choice. To create a landing page layout, business website with features, personal blog with custom layout and more, Headway Theme is a good choice. To use Headway theme, first you should have a ready design in your mind or some wire-frame, then it becomes easy to get the results. Drag and drop elements and layout design makes it very easy to create any layout with this responsive WordPress theme. Rise WordPress theme by Thrive Themes comes with automatic page builder named Thrive Page Generator. It allows you to create different page layouts using the drag and drop method. This page builder is having good feedback from different types of users about the ease of use and features. Apart from the page builder, Rise is also having great features for affiliate blogs, personal blog and business websites. Responsive design makes the theme perfect for online affiliate marketers and is best suitable for them. Extra is a responsive, magazine layout WordPress theme and another gem from Elegant Themes club. It also comes with the same Divi Builder and a very flexible design. If you are planning to run a magazine site or news portal and like to build pages using drag and drop method, Extra is one of the best theme available in market. With all the features specially picked for magazine layout site, the Divi builder makes it perfect for those who are not good with HTML and CSS. Layers by Obox is the WordPress theme which comes along with the Point and Click Page Builder. Unyson is a WordPress theme framework which comes with ready drag and drop page builder. It is a free framework available to create a website using the page builder or you can also start developing your own theme as per your ready design. The framework is responsive and works great all kind of devices including Android, iPhone devices. Along with the page builder, you also get portfolio management, events management, contact forms, sliders, breadcrumbs and many other ready modules with Unyson. Make is a popular WordPress theme from Theme Foundry and it comes with Make Builder, a page builder with lot many options. The free version of Make comes with basic modules under the Page Builder. If you need modules such as WooCommerce modules, Events modules and many more, get Make Plus. To create a business site, Make is a great choice. The drag and drop page builder makes it very easy to create nice pages for your business website. A feature rich, clean and multi purpose WordPress theme with responsive design. Waxom is having everything that you need to make a business site, portfolio site, personal or professional blog, shopping portal, corporate website, travel website etc. It comes loaded with Visual Composer, Revolution Slider, Layer Slider and Templatera. With Visual Composer, one can create landing pages or other pages using drag and drop method. You can also design the front page of the site using the same drag and drop page builder. You is another multipurpose WordPress theme which is optimized for fast loading. Visual Composer drag and drop page builder is included with this theme and one can build a great page using this theme. This premium theme comes with lot many ready page designs, but one can create a design with modules such as portfolio, contact form, accordion, tabs, slider etc. using the drag and drop feature. Ready designs allow you to select the page template for the page builder. Once the page template is selected, your custom design in the content area will look as per your design and the complete page will be inside the theme’s design. A responsive, ultra fast page can be designed with required modules without writing any piece of code. That’s the power of a page builder delivered along with a nice WordPress theme. Zero from Tesla Themes is a well designed, properly documented multipurpose WordPress theme with responsive layout. It is loaded with Visual Composer page builder and one can create beautiful landing pages with great content using the drag and drop feature of the builder. You can always download the latest copy of Visual Composer from Tesla as they keep releasing the new version of Zero theme and keep updating Visual Composer there too. Zero is built on Tesla Framework and is very much developer’s friendly. One can also create a child theme and keep things customized. A beautiful theme to create business website, personal branding website, lifestyle site, photography site, creative agency site etc. in no time. With page builder, creating a nice pages with good amount of content becomes very easy. Narcos, another responsive multipurpose WordPress theme built on Tesla Framework and loaded with Visual Composer. If you are looking for a classic theme capable of creating one page site or multi-page site, Narcos will not disappoint you. Like I said earlier, Visual Composer will make your life easier for building content rich pages with premium looks. Use the drag and drop feature and build perfect layout with multi-column content for any pages. Visual Composer page builder allows you to edit the content from front-end as well. It means, you don’t need to go to the dashboard and edit from there, you can edit the text from front-end of the site too. Loaded with 18 different homepage layouts pre-styled skins and Visual Composer plugin, Beoreo is a premium responsive WordPress theme available on Themeforest. Lot many Responsive and Multipurpose WordPress Themes are available on Themeforest but H-Code is one of the trending theme there with lot many features. For non-programmers / non-designers, again Visual Composer will be a great help in building nice pages using the drag and drop feature. Apart from that, H-Code comes loaded with so many ready designs for eCommerce site, creative agencies, marketing folks, photography sites, affiliate marketing sites, portfolio sites, corporate websites, personal branding sites etc. H-Code is a perfect theme for photographers and designers. And Visual composer will help you build great layout and content using the drag and drop responsive modules. Cre8or is a clean and minimal WordPress theme built on Tesla Framework. 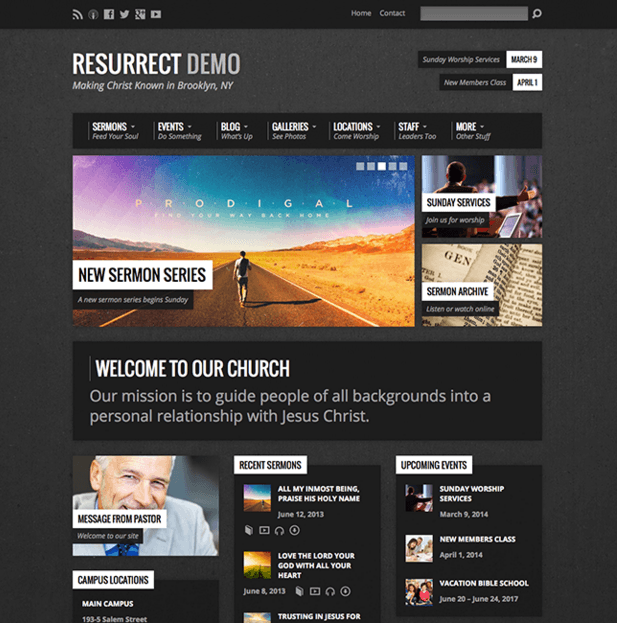 It comes loaded with Visual Composer and Revolution Slider. Tesla team also offers 1 hours of customization free with the theme. Images with the loaded light-box effect looks great on small or big screens. Photography websites or creative agencies can pick this team and use the Visual Composer page builder to create custom layout using drag and drop feature. A responsive WordPress theme optimized for speed would be great for personal blogs as well. Ultimatum is a drag and drop theme builder which allows you to create templates for pages, posts using the drag and drop method. It means, you will not have any dependability on other themes as you can build your own theme using Ultimatum builder. So using this utility, you can are not only building the pages but complete layout for your site. It creates responsive templates using Bootstrap and that’s why your site will look great on all kind of devices. So you can call Ultimatum a theme builder rather than just a page builder for WordPress. Ultra, a beautiful, flexible, responsive WordPress theme with Themify Builder. The design of this theme looks great and is very fast in terms of load time. You get 14 different page designs and styles with this theme and it works great with WooCommerce plugin as well. Image filter, portfolio, Mega Menu, Post Layout, Section Scrolling are few of the features of Ultra. A multipurpose theme with a page builder is great for people looking for a WordPress theme for Startup pages, landing page, product launch page or site, eCommerce website, designer sites etc. WP Multipurpose is a premium responsive WordPress theme from Solo Stream theme club and it comes pre-loaded with its own page builder. One can drag and drop elements to build a nice page with features and create a good landing page or about us page or portfolio page for personal or business website. Gusto is a popular multipurpose WordPress theme with lot many features including Ajax page loading and Front Page Edition. Apart from that, it comes with Visual Composer, Revolution Slider and Accordion Slider as well. Using the drag and drop elements feature of Visual Composer, one can create custom page layout with 3, 4, 5, 6 column content. Everything is responsive and works great on all kind of devices. A Multipurpose WordPress theme which comes along with Visual Composer Page builder, Revolution Slider and Layer Slider. With Visual Composer drag and drop feature, you can create pages with widgets, buttons, call to action button, separator with or without text, portfolios, WooCommerce products, Multiple Column Text and many more. Landing WordPress Theme by Themify comes with the pre-loaded page builder named Themify Builder. It is the same page builder that you were getting with Ultra theme. 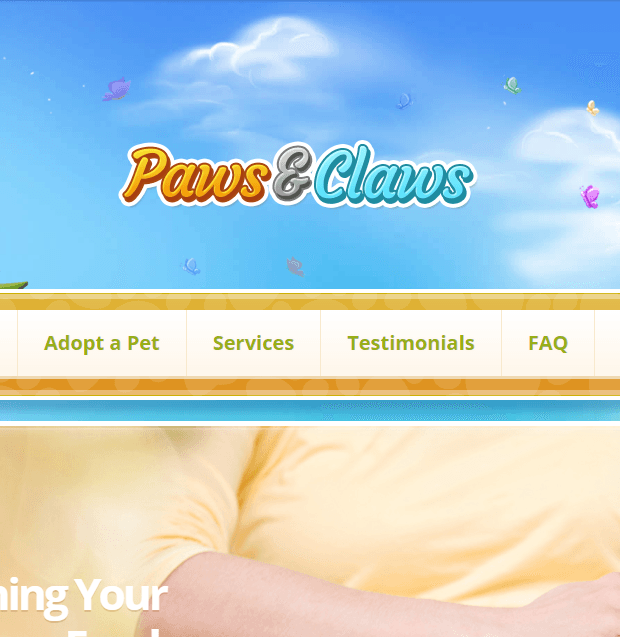 Using Landing theme, one can create a nice landing website for product or affiliate product. 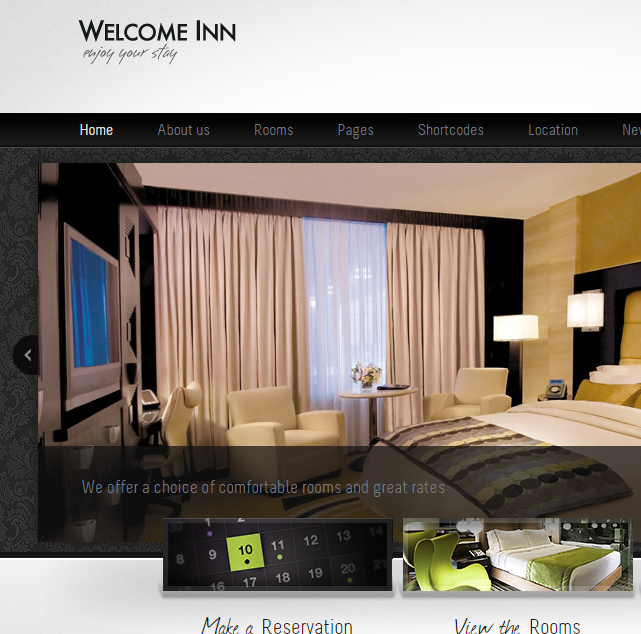 Even agencies can use this theme to build a site using the pre-designed layout. Other layouts provided with this responsive WordPress themes are Restaurant site, portfolio site, agency site, events site, marketer site, personal blog, company page with scrolling layout, startup page, coming soon page etc. Using Themify builder, you can create astonishing page designs and layout with drag and drop method. CleanLab is another premium WordPress theme available on Themeforest and it comes pre-loaded with its own page builder. You can edit or create content layout from front end as well. A multipurpose WordPress theme with responsive design ensures that you get the best website on all devices. Create a personal blog, photography website, business website etc. using this nice looking theme. It is also compatible with WPML plugin so you can create multilingual website in no time. It is also compatible with WooCommerce, so you can create an eCommerce site and design the page description with the page builder. Along with Page Builder, you also get Revolution Slider and Mega Menu with this theme. Untitled is another multipurpose WordPress theme on Themeforest and it also comes with its own Page Builder. The page builder comes with timeline elements, contact form, Google Maps with direction, Instagram Feed, Multiple Sliders and many more features. One click demo install is available with the theme and it allows you to create a sample site for testing with test data. It also gives you the Page Builder ready layouts to reuse in your production site. 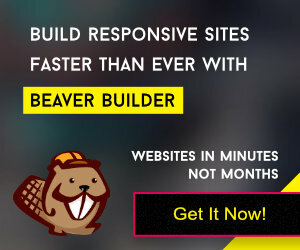 Beaver Builder Theme comes with Beaver Builder plugin and it allows you to create amazing pages using this page builder. Beaver Builder is one of the best page builder available in the market. Whether you are designing a restaurant site or law firm site or fashion site or creative web agency or educational/university site or automotive site or mobile app site, everything and anything is having a ready template in Beaver Builder. So creating these all sites are very easy to do using this builder and the theme. Like Visual composer, one can use Beaver Builder on any WordPress theme but it is recommended to use with the Beaver Builder Theme.